DiRōNA is proud to announce our 2018 Reunion Luncheon which will be held during the National Restaurant Association Show in Chicago, IL. 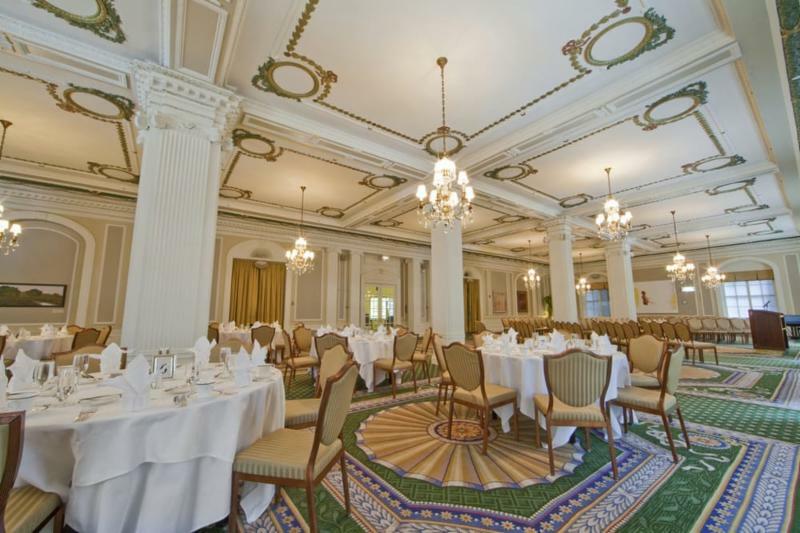 Our event this year will take place at the Union League Club of Chicago in their luxurious Crystal Room. The luncheon, prepared by awarded Chef Michael Garbin, will begin at noon on Sunday, May 20th. This event is a great opportunity to network with North America’s most renowned restaurateurs. Following lunch, DiRōNA is excited to provide a panel discussion hosted by Kimberly Winter Stern with industry experts Ted Balestreri, Ralph Brennan, Richard Gonzmart, and Jasper J. Mirabile Jr.
DiRōNA is thrilled to announce that our panel discussion will be hosted by Radio Personality Kimberly Winter Stern with panelists Ted Balestreri – Monterey, CA, Ralph Brennan – New Orleans, LA, Richard Gonzmart – Tampa Bay, FL and Jasper J. Mirabile Jr. – Kansas City, MS.
Kimberly is a well-known Kansas City’s food, travel and lifestyle freelance writer and her company, SternWrites Communications & Public Relations, handles public relations for several high-profile clients. Since 2010 she has produced and co-hosted Kansas City’s only weekly food-centric radio show, LIVE! From Jasper’s Kitchen with Chef Jasper Mirabile Jr. (Saturdays 11 a.m. – noon, KCMO 710). 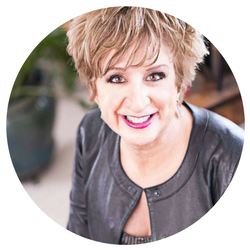 Her award-winning work has appeared in local, regional and national publications, including Better Homes and Gardens, national travel guides, and cover stories and features for The Kansas City Star, Kansas City Homes & Gardens and KANSAS! Magazine, among others. Kimberly served as managing editor of 435 South Magazine (now 435 Magazine) from 2011 – 2014 and editor-in-chief of KC Magazine from 2015 – 2016. A member of the American Food Journalists (AFJ) and Slow Food Kansas City, she served for two years as chair of one of KC’s most popular fundraisers, Giggle with Gilda, to benefit Gilda’s Club Kansas City. Kimberly also performs pro bono public relations for No Kid Hungry KC and mentors students interested in the competitive world of freelance writing and public relations. In January 2016, Kimberly joined former KC Magazine executive editor Katie Van Luchene and launched KSquared Communications & Public Relations, a boutique firm that offers select lifestyle and nonprofit clients public relations, communications, social media and promotions consultation and expertise. Originally from Brooklyn, Ted Balestreri moved to the Monterey Peninsula in 1957, and over the next 25 years became a national figure in the restaurant and tourism industries. 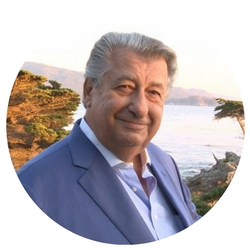 Ted is founding CEO and Chairman of the Cannery Row Company, Sardine Factory Restaurant, and Inns of Monterey – overseeing enterprises that attract more than 4 million visitors each year. 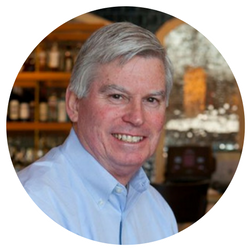 Ted has been a Board Member of the National Restaurant Association for more than 40 years, serving as President from 1985-86. He served as the longest ever seated Commissioner of the California Travel and Tourism Commission, from 1985 -2007; and in 1995 was also appointed California delegate to the White House Conference on Travel and Tourism. Ted’s leadership and commitment to tourism has been recognized by the Travel Industry Association of American and the California Tourism Hall of Fame. His awards and achievements are extensive and include the prestigious IFMA Gold Plate Award, as well as various humanitarian awards including honors from the Boy Scouts of America and the National Ethnic Coalition Organization. He has been inducted into the Distinguished Restaurants of North America (DiRoNA) Hall of Fame and was a past Chairman and founder of the organization. Ralph Brennan is a New Orleans-based restaurateur and head of The Ralph Brennan Restaurant Group. Ralph entered the family business in the early 1980s as one of a group of eight third-generation cousins active in the United States restaurant industry. His company runs seven restaurants, six of which are in New Orleans; Red Fish Grill, Ralph’s on the Park, Cafe NOMA, Heritage Grill, Cafe B, Brennan’s Restaurant, Napoleon House and Ralph Brennan’s Jazz Kitchen in Downtown Disney Anaheim, CA, as well as a catering business. Ralph is co-owner of three additional restaurants; Mr. B’s Bistro, Commander’s Palace and Brennan’s of Houston. Among Ralph’s industry honors are the 1997 Gold Plate Operator of the Year, the highest honor bestowed by the International Foodservice Manufacturers Association. He has also served as president of the National Restaurant Association as well as chairman of its educational foundation and past Chairman ofDiRoNA. He has been inducted into the Distinguished Restaurants of North America (DiRoNA) Hall of Fame. The fourth-generation “caretaker” of the Columbia Restaurant Group, Richard Gonzmart has been named – as part of more than 100 awards – Community Hero by the Tampa Bay Lightning, the Boys and Girls Clubs, and Big Brothers and Big Sisters. He also has been officially named a Luminary, a Visionary and a Philanthropist of the Year as well as Father of the Year, Hispanic Man of the Year, Businessman of the Year, two time Alumni of the Year, Outstanding Citizen of the Year and Tampa Police Citizen of the Year. He has been inducted into five Hall of Fames, most recently, the Distinguished Restaurants of North America (DiRoNA) Hall of Fame. 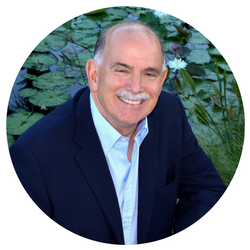 Gonzmart serves or has served on dozens of non-profit boards and organizations. He is passionate about the education of our youth and young adults, and in finding a cure for cancer. Pope Francis recognized Richard with the highest recognition of the Catholic Church, the Pro Ecclesia et Pontifice. His great-grandfather started the world-famous Columbia Restaurant in Tampa’s historic Ybor City in 1905. Still 100 percent family-owned, it’s now the oldest restaurant in Florida. There are seven Columbia restaurants in Florida. Newer restaurant concepts include Cha Cha Coconuts, Ulele, Goody Goody and Café Con Leche Ybor City, increasing the total number of restaurants to 13. For Jasper J. Mirabile Jr., working in the kitchen of Kansas City’s most award-winning restaurant has been a homecoming to his family-owned establishment. Mirabile’s family history reflects a love for fine food and elegance. His grandmother helped his father launch Jasper’s back in 1954. Jasper Jr is in charge of the 2,000+ square foot kitchen. In his own style, Jasper creates dishes from his Sicilian background with heavy influences from Tuscany and the Piemontese regions of Italy. Jasper attended the University of Nevada, Las Vegas, Hotel and Restaurant School and Kansas State University. He has been featured in several major newspapers and magazines across the United States of America. Over the years, Jasper’s has made a name for itself for one of Kansas City’s most popular dining attractions. DiRoNA has named Jasper’s one of the best restaurants in North America for 25 years in a row. Mirabile’s other activities include; hosting a popular weekly radio show on KCMO 710, Live! From Jaspers Kitchen, Chairman of Slow Food Kansas City, Vice President – Midwest of Gruppo Ristoratori, and board member of The American Institute of Wine and Food Kansas City. 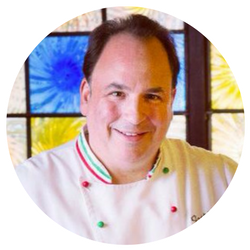 Additionally, Mirabile is The Wisconsin Cheese Chef Ambassador, Author of two cookbooks and working on his third (entitled On The Cannoli Trail). Jasper is an Advisor for the Distinguished Restaurants of North America (DiRoNA). DiRōNA is grateful for our reunion luncheon partners Oneida and Preferred Payments. Oneida is one of the world’s largest designers and sellers of tabletop products. Gracing tables for over 100 years, the brand is a staple in many establishments, from fine to casual dining. Preferred Payments offers a credit card processing discount program for DiRōNA Awarded Restaurants. A Preferred payments expert will work with you to help lower costs and find the best solution for your restaurant. All Content On This Site Is Protected By Copyright 2019 DiRōNA - All Rights Reserved. Website by Breard Marketing Inc.